China's top leadership, which is preparing to launch the 13th Five-Year Plan (2016-20), on Monday announced an overarching strategy to lead the economy's ongoing transition. 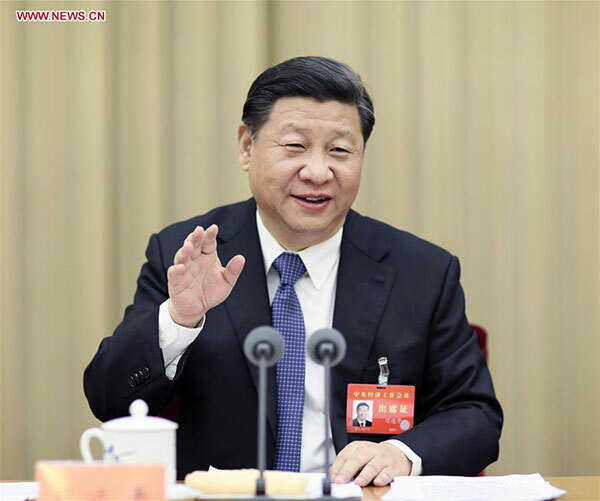 President Xi Jinping said the country's emphasis next year will be on supply-side reform, or a package of supply-side policies to release new demand and boost new productivity. He was speaking at the conclusion of the Central Economic Work Conference, which was held along with the Central Urban Work Conference. Economists said this means that China will no longer seek to fuel economic growth solely by using fiscal and monetary measures to boost capital investment, consumption and exports. Instead, the government will be more focused on devising policies which, from the supply side, are aimed at helping the industries it wants to support. Outdated businesses will also be phased out. The Central Economic Work Conference has pledged to launch a series of policies next year that have been discussed for a long time, including more tax cuts, incentives for specific industries, regulatory reforms and more aid to lift people out of poverty. Supply-side reform covers two areas, according to the political magazine Outlook. One of these is to readjust the economic structure－crucially by shedding excessive industrial capacity.